As I mentioned in a previous post, I am practicing a daily creativity habit this year (loosely following the book mentioned in that post). I am not completing a piece of art every single day, but I am spending 30 minutes a day being creative. 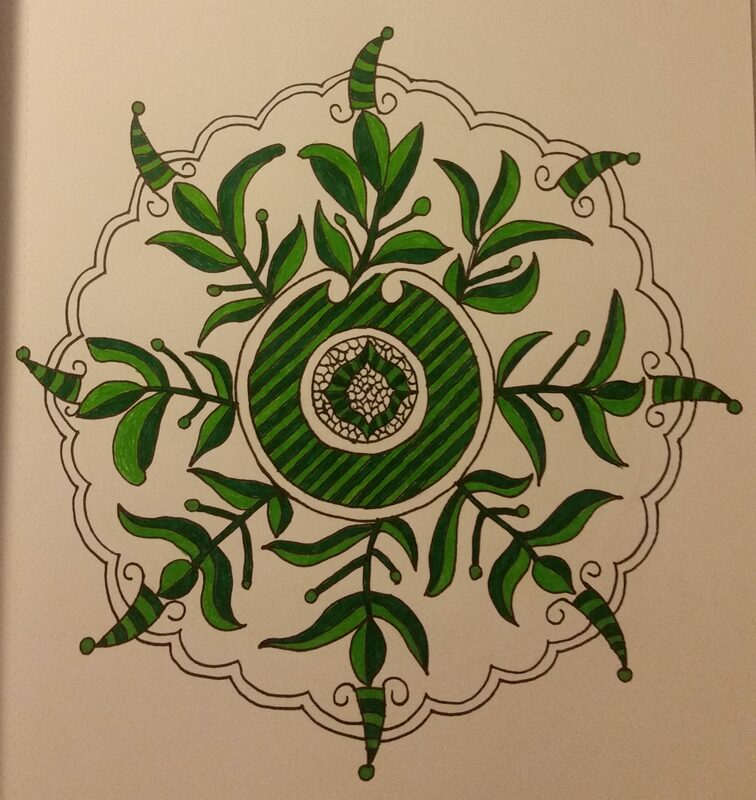 I didn’t get that many mandalas completed this month, as some of these took me a week+ to complete. I’ve been posting my projects on my Instagram under #createwithelizabethkaybooth if you want to see them all in one place. 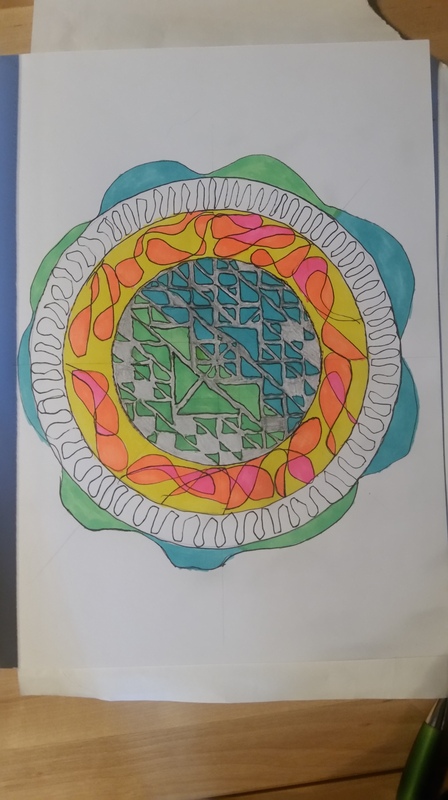 I love having a theme because it is more relaxing completing the challenges in the book knowing that I just have to translate them into a mandala. It gives focus and allows me to just sit down and get to work instead of feeling overwhelmed with the proverbial blank canvas. A manadala made with my non-dominant hand. It was very tiring to work with my non-dominant hand – some of the sloppiness in here came from the awkwardness, but more of it came from just getting tired! 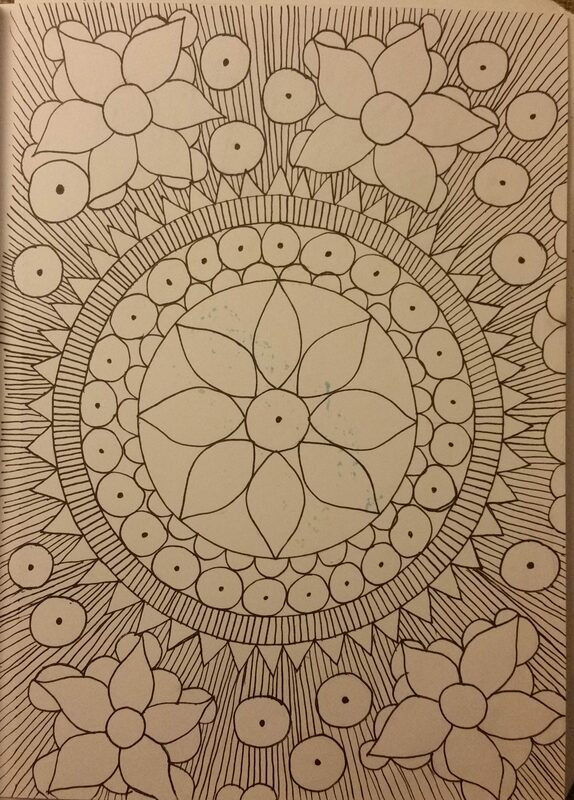 A mandala that took me a week+ to complete. The idea was to make something that blended into the background. I usually love color and rarely work in black and white, but I thought maybe just leaving it all in linework would assist with the blending in part of this project. Mandala inspired by a dollar bill. Pen and marker. I’ve never examined a dollar bill so closely before! The challenge in the book was to write a love letter and illustrate it. 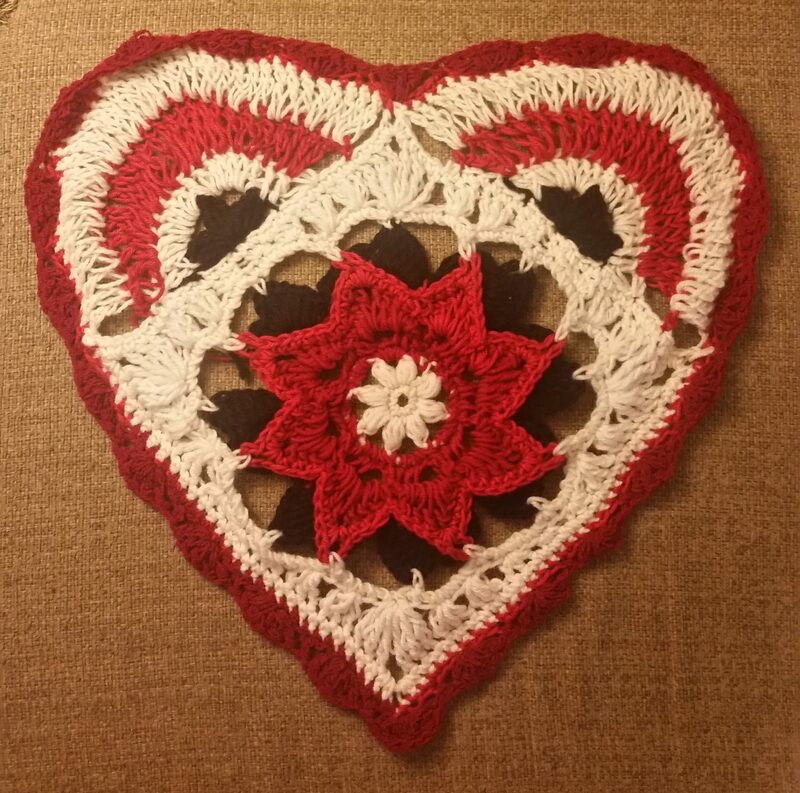 I decided my project would be to crochet the heart mandala out of the book I mentioned.